Inciweb reports as of this morning that the Williams Fire has consumed 3,600 acres (figure was revised down yesterday), and is 15 percent contained. Currently there are 771 personnel working on it. 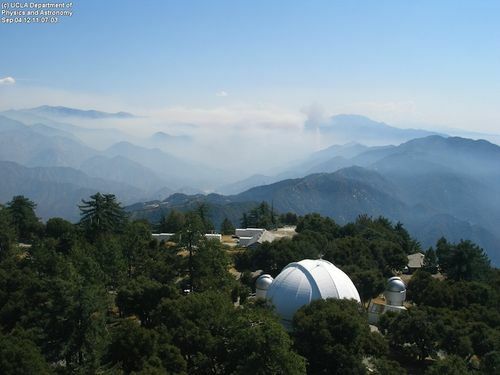 The National Forest Service reports that "good progress was made yesterday," with evacuations of San Gabriel Canyon and Camp Williams, but 25 idiots people have opted to stay in place and ignore the evacuation order. The photo above comes from the Mt. Wilson Towercam.